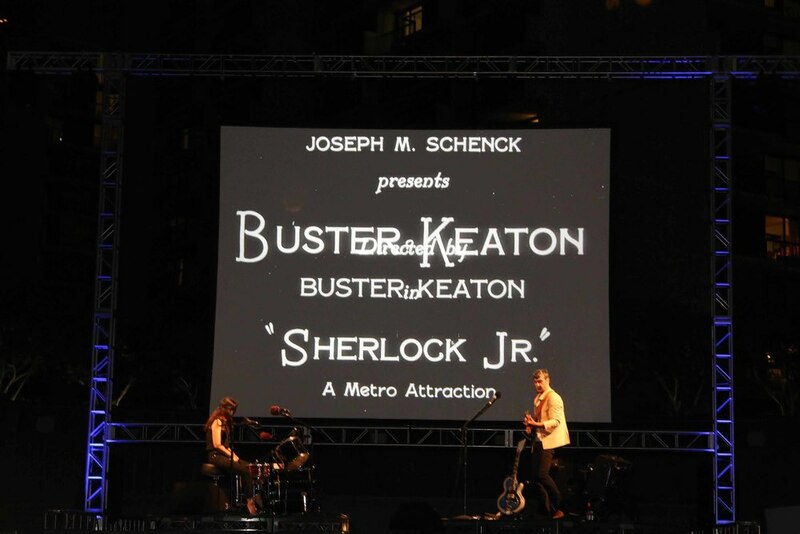 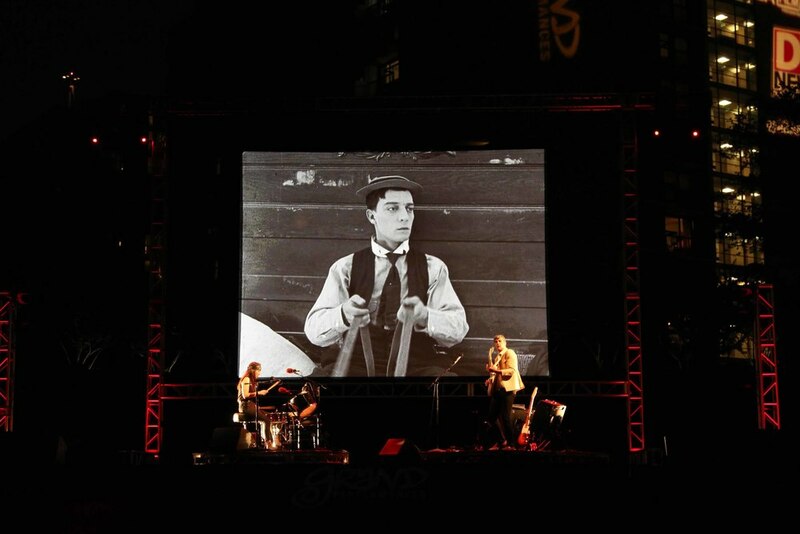 As part of the Los Angeles film festival exchange, the Buster Keaton silent comedy film, Sherlock Jr., preceded by the short comedy film, Cops, also starring Buster Keaton, was screened at Grand Performances in Los Angeles. 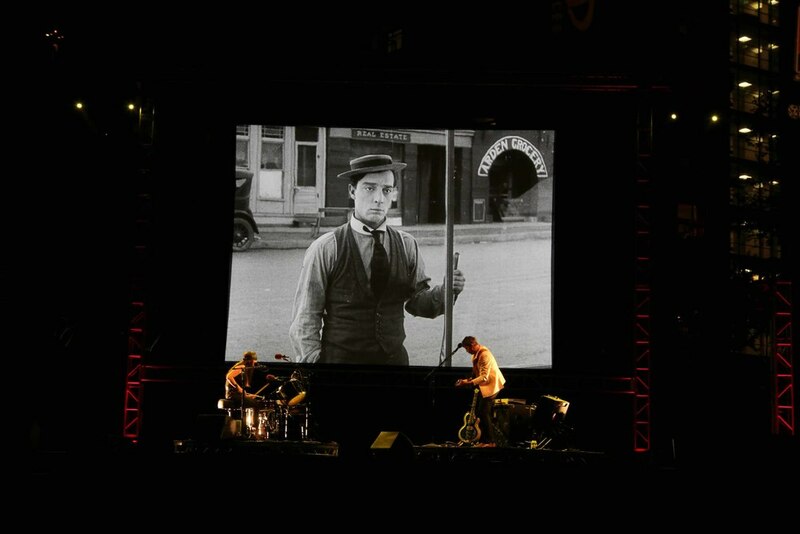 The films were accompanied by a live improvised soundtrack from Bordeaux based band, Magnetix. 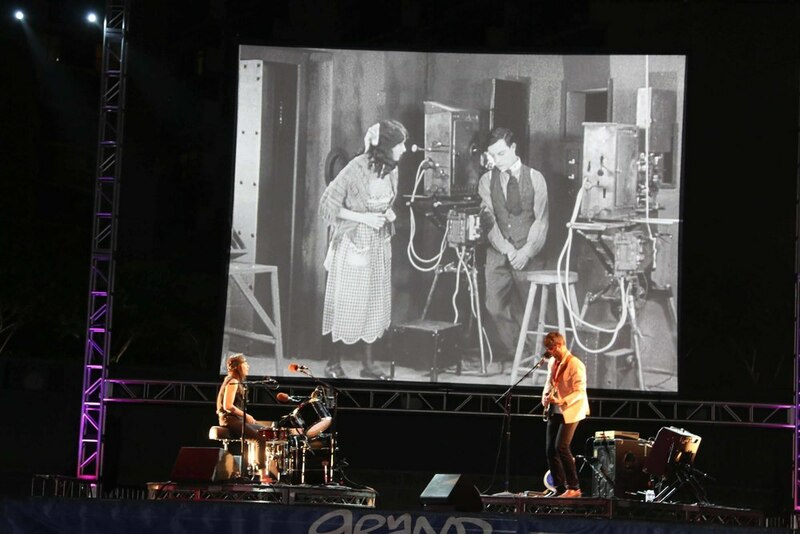 Magnetix playing a live soundtrack to the Buster Keaton silent film, Cops.